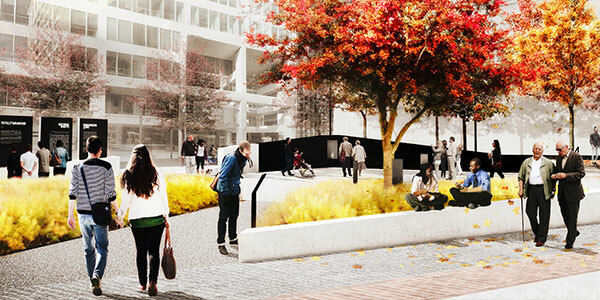 See our evolution from Monument to Memorial. Learn how you can take part in this project for humanity. Amid the political upheaval of recent months, a troubling trend of threatening calls to Jewish community centers and other religious institutions across the country has flown somewhat under the radar. But when headstones at a St. Louis cemetery were toppled several weeks ago – and especially when the same vile act was perpetrated in Philadelphia more recently – the growth and expressions of anti-Semitism finally began to garner significant attention. Make no mistake: These cemetery crimes are not unrelated to one another, nor are they insignificant. Along with the threatening phone calls, they represent an attempt to rally a venomous base of miscreants and deliver disquiet to a peaceful religious community. The specific end game of these actions is unclear, but recent history had demonstrated all too well how quickly these manifestations of hate can accelerate into the worst of human atrocities. For Philadelphians, the presence of this activity is particularly troubling. The history of Jews in Philadelphia dates back centuries, and our 300-year-old bond has helped the Jewish and broader communities thrive. As the cradle of American independence, Philadelphia has long been the embodiment of tolerance for all religious groups, serving as a beacon of light, even in a world too often consumed by hate. Viewed through this lens, the display of overt hostility in the City of Brotherly Love is, to say the least, disheartening. That said, without discounting the egregious hate that led to this act of cowardice against the meekest of victims – the graves of those who cannot fight back – the city’s reaction is surely one to be lauded. Last Thursday, we saw an outpouring of love, as thousands of our friends and neighbors of all faiths gathered in solidarity with the Jewish community at Independence Mall. Titled the “Stand Against Hate” rally, the event was attended by Philadelphians of all backgrounds as well as various dignitaries, expressing our collective community’s unwavering conviction that we can – and must – unite to combat and conquer hostile forces that threaten our minority brother and sisters. The rally demonstrated our city’s affirmation of decency, but the Jewish community must bear in mind its unique responsibilities. In the face of attack, obsequious inaction is not a viable strategy. Besides the general inadvisability of letting an enemy know that its aggressions have been successful, the Jewish community’s enmeshment with Americana is beyond question. While the land of the free deserves credit for embracing the tired, poor, and huddled Jewish masses that came to these shores, the latter’s myriad contributions to this country have helped mold the United States into the economic and moral force it is today. Jews have contributed to this country as titans of industry, esteemed jurists, groundbreaking entertainers, and great humanitarians, and, in sum, have bettered the society we all enjoy today. Of course, if hate rears its ugly head with anti-Semitism, other forms of racism are not far behind. With that in mind, our mandate must be to stand up against hate in all its forms and band together to state firmly and clearly that tolerance is the only moral option. The “Stand Against Hate” rally was assuredly uplifting, but it is only the first step of what must be a larger cause, as was demonstrated by similar cemetery vandalism in Rochester, N.Y., which also took place last Thursday. And one of the most effective ways of combating the cancerous growth of racial hatred is through educating our citizens about the horrors that have resulted from similar intolerance. 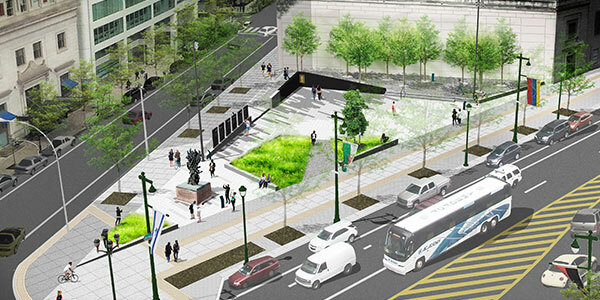 Just blocks away from Independence Mall – the birthplace of our country, where thousands gathered last week to reaffirm the triumph of religious freedom – plans are in place to construct the new Philadelphia Holocaust Plaza on Ben Franklin Parkway. 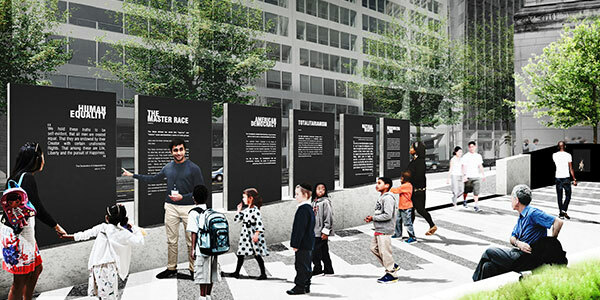 This memorial will educate our citizens and tourists about Nazi oppression, with the goal of ensuring that these travesties are never repeated. As one of the country’s largest Jewish cities, Philadelphia’s Jewish community has long recognized its responsibility to teach this message and make sure that, even as time goes on, we never forget. But after cemetery attacks that have hit so close to home, the unified response of our civic and religious leaders has made it abundantly clear that this responsibility also lies with the community at large. Jacob Reiter, a board member at the Philadelphia Holocaust Remembrance Foundation. © 2019 Philadelphia Holocaust Remembrance Foundation. All rights reserved. Website by Roni Lagin & Co.